It has now been 90 days since the first 0.1.0 release of HyperTerm. I'm thrilled to have seen it grow from a small experimental demo to one of the most popular projects on GitHub this year, with close to 9,000 stars. 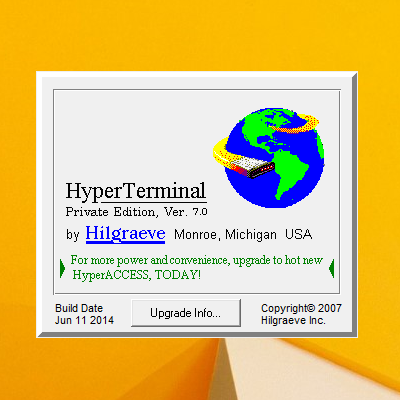 In addition to a new release and sharing some plans for the future, I want to make a special announcement: We are renaming the project from HyperTerm to Hyper™. The website will redirect from https://hyperterm.org to https://hyper.is. The new name reflects the goals of the project more accurately (more on this below) and removes any confusion with a similarly named program released in 1985. Age and usage notwithstanding, we have to legally honor their trademark claim. Within a few days of its release, Hyper had a self-assembled, self-organizing team of talented individuals from all over the world that have been running the project since. The speed at which this has happened is a remarkable testament to the power of open source, the quality of our tools and the unparalleled agility of a distributed team solely made up of internet strangers. In particular, I want to highlight the role of Matheus Fernandes, Timothy, Martin Ek, Albin Ekblom, Nuno Campos and James Hall who have become core committers to the project. If you want to join the team, head to zeit.chat and you'll find us in the #hyper channel. We're announcing 0.8.1 today which features the long-awaited splits functionality, along with a long list of bug fixes and improvements. Splits showing a terrific text editor and a weird text editor. You know which is which. The third item involves the implementation of a new underlying terminal emulator that separates data (state) from its rendering. This will improve performance, expand extensibility possibilities and enable new features like transferring terminals between windows. We also look forward to introducing official Windows support with said release. Tabs and splits provide a very solid alternative to traditional desktop window management approaches. Hyper provides a natural way to collocate, for example, the experience of editing a file and its result side-by-side (especially when hot-reloading is enabled). Compilation pipelines, watch testing or dashboards are other good candidates to populate your splits. This is especially productive today if, for example, you use a terminal-based text editor. For everyone else, we also see a way. Slowly but surely, Electron-based applications have started to dominate many of our workflows. Atom, Slack, Now Desktop, VS Code, Vectr, Figma, WordPress, Simplenote, Nylas, Kap… are some applications that are 100% based on this cross-platform web-based toolkit. We are looking forward to exploring, with the help of our community, the possibility of enabling a general computing platform based on this foundation. The hooks are already in place for plugins to extend any part of the experience. … and therefore enjoy a richer editing experience. This is a goal worth pursuing in the interest of sane window management, agility, built-in logging of launched applications, engineering exploration but most importantly the preservation of our freedoms. In a world increasingly encumbered by app stores, developer licenses and approval processes, a hyper reboot is worth trying out. And who knows, 2017 might by the year of the Linux desktop!